California-born "Freak" draws inspiration from many styles, including traditional Americana, Japanese and fine-line "cholo" style black and gray. He started his career at Red Hot Tattoo in Arcadia, CA under the instruction of "Painless" Jen McLellan and the influences of the great artists who worked there over the years. 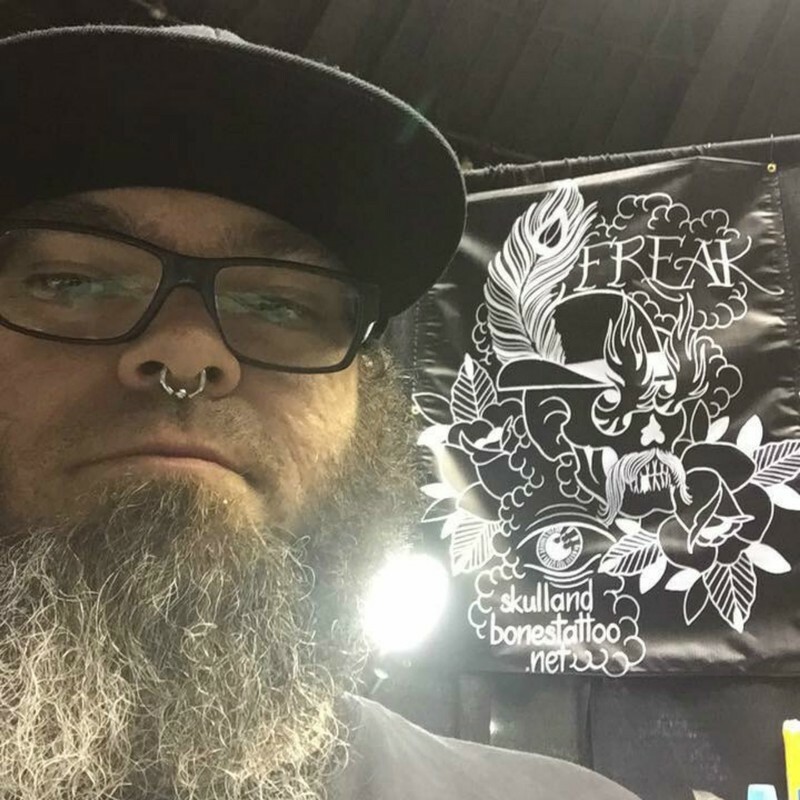 Walk-ins are possible; appointments are suggested, as he does a regular guest spot each month at Images in Ink, in Wisconsin Rapids, WI, as well as tattoo conventions around the nation.